In 1958, Dymo introduced the first personal label maker, the embosser, revolutionizing the way businesses and individuals organized and identified their offices and surroundings. In the decades after, Dymo expanded its embossers into products for home, office and commercial applications. In 1990, the brand added electronic label makers with built-in keyboards, LCD screens, numerous formatting functions and high-quality printing. 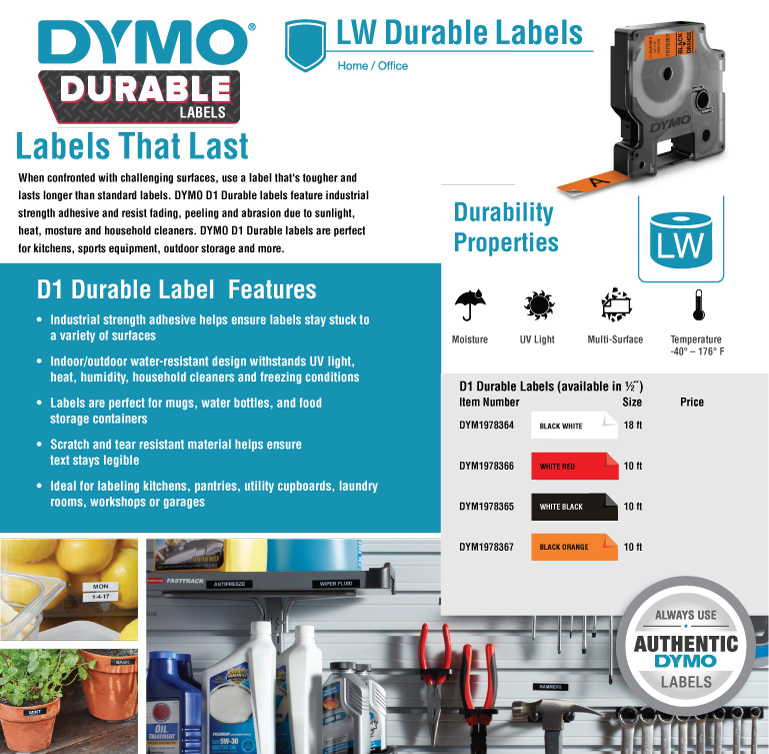 Through a merger with CoStar, who pioneered the market for small, dedicated label printers that connect to PC and Macintosh computers, Dymo now offers the most complete line of labeling and identification products on the market. Dymo was acquired by Newell Rubbermaid in 2005.